I can’t believe how quickly autumn has arrived. The trees outside our windows are almost bare. It’s dark outside by 6:30. Daylight Savings Time is this weekend, which means that on Sunday it will be dark out by 5:30. It’s kind of depressing. How did the summer fly by so quickly? There are a lot of good things about fall though. On Halloween there will be tons of children running around in their costumes collecting candy and scaring each other. The cooler temperatures mean it’s time to pull out your sweaters and jackets. Thanksgiving will be here before we know it. Family, friends, food… What more in life do you really need than those three things? I love cooking for our family and friends, but sometimes I just don’t have a ton of time. 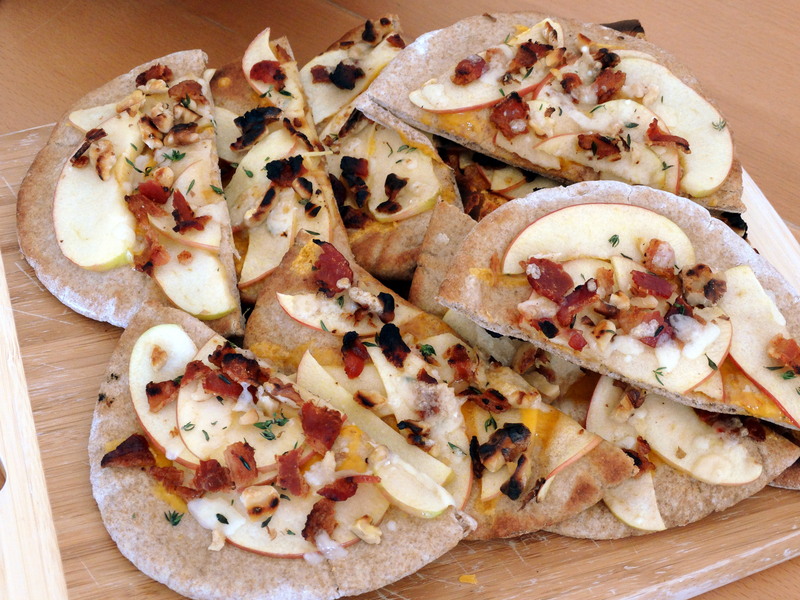 This delicious, but easy appetizer is perfect for when you need to whip up something fast. You don’t even need to preheat the oven! To toast the walnuts, chop and then warm them in a skillet over medium-high heat for a few minutes. Turn on your broiler and quickly warm two pitas, about one minute. They should be steaming when you remove them – not browned or burnt. Be sure to keep a close eye on them, especially if you are using a gas oven. Remove the pitas from the broiler and brush each with 1/2 teaspoon olive oil. 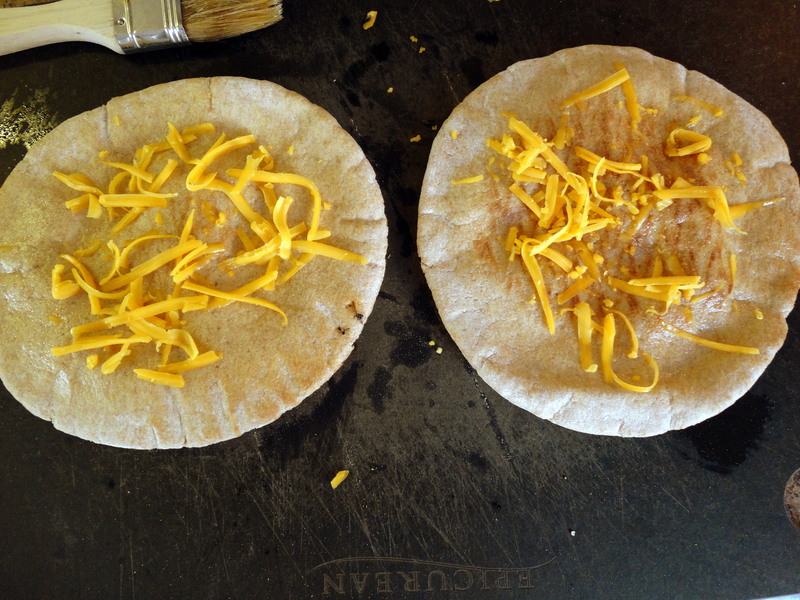 Sprinkle each pita with 1/2 ounce cheddar cheese. 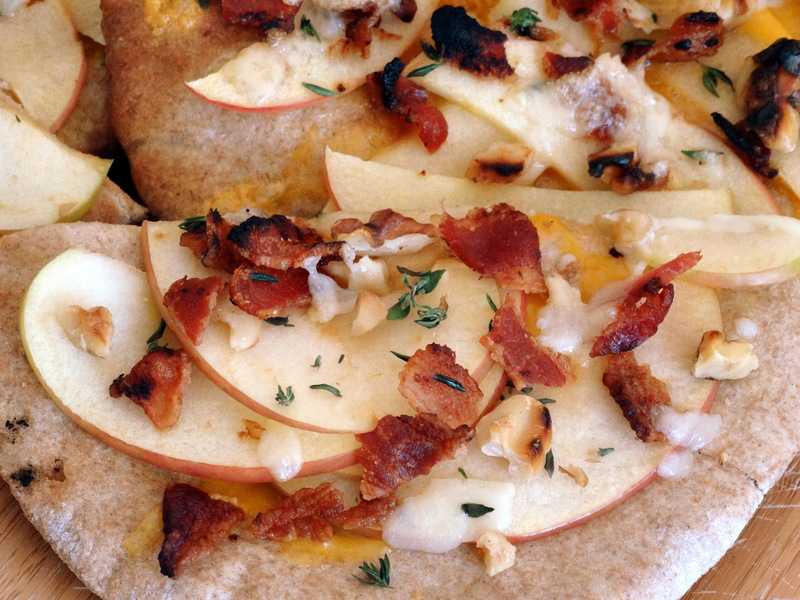 Top the shredded cheddar with a layer of apple slices. Next, add 1/2 tablespoon chopped walnuts. 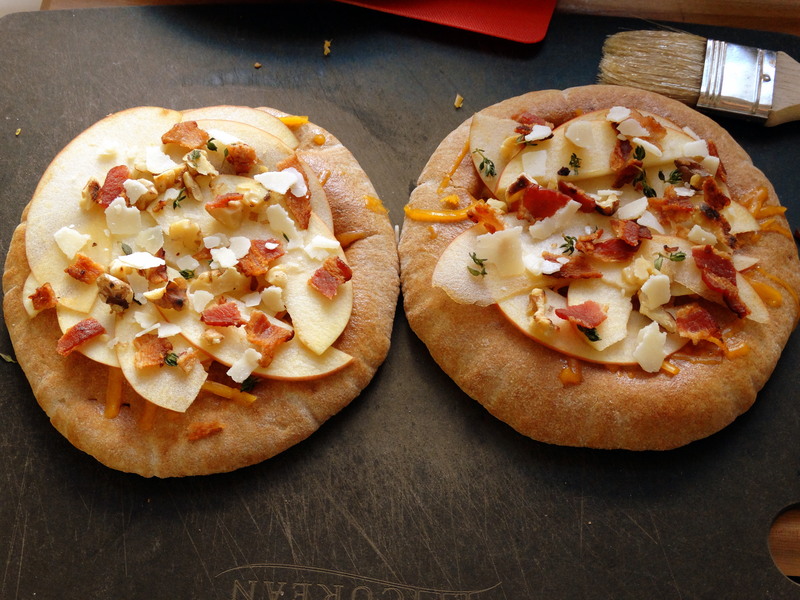 Finish topping each of your pitas with 1/4 teaspoon chopped fresh thyme, 2/3 tablespoon shaved Parmesan cheese, and 1/2 slice crumbled bacon. Since the pitas were warm when you started adding the toppings, don’t be alarmed if the cheese melts a bit before you put them back into the broiler. Once you’ve added all toppings, return the pitas to the broiler for a minute or two, or until lightly toasted. Again, be careful not to burn them! They will cook quickly. Remove them from the broiler, slice them into halves, and repeat the process with your remaining two pitas. Serve when finished and don’t forget to enjoy them! 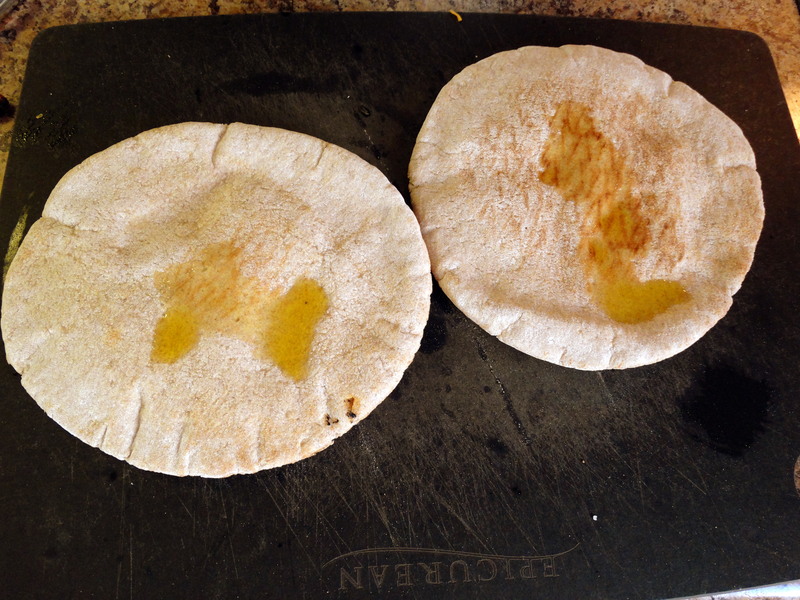 1) Turn on your broiler and quickly warm two pitas, about one minute. 2) Remove the pitas from the broiler and brush each with 1/2 teaspoon olive oil. 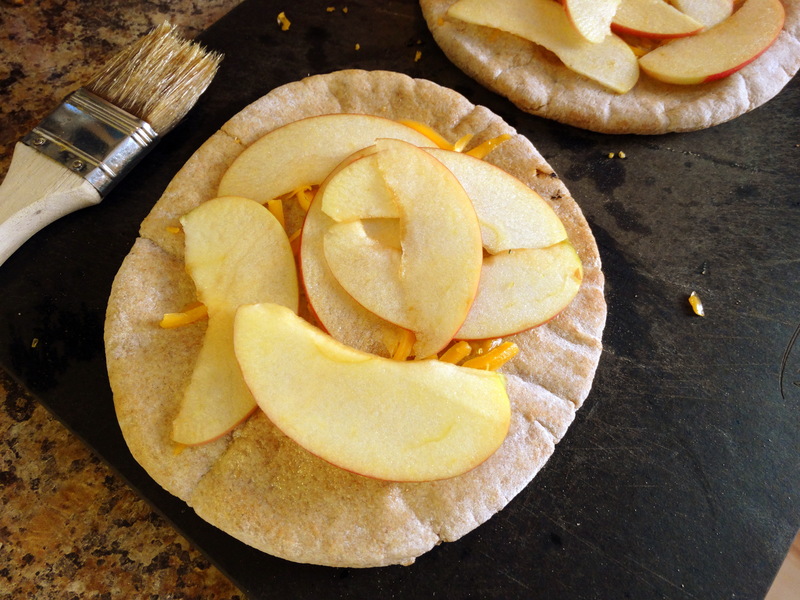 Sprinkle each pita with 1/2 ounce cheddar cheese. 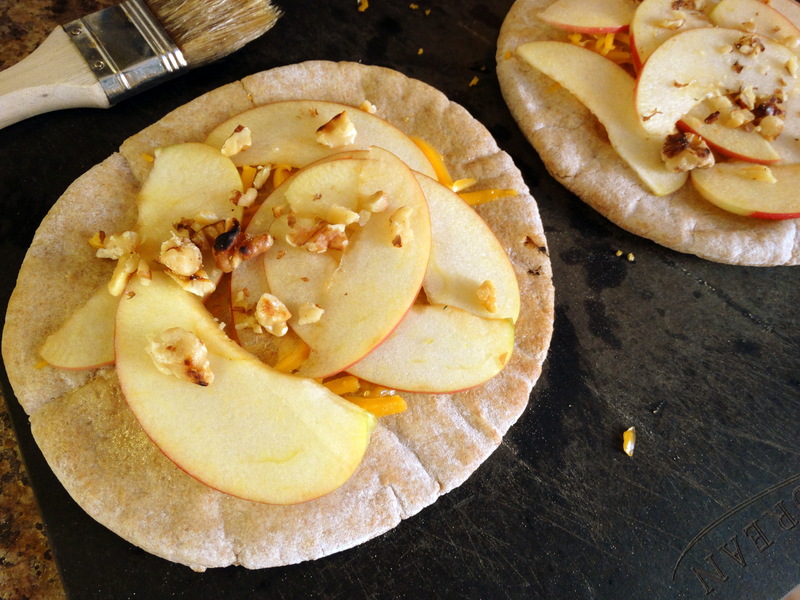 Top the shredded cheddar with a layer of apple slices. Next, add 1/2 tablespoon chopped walnuts. 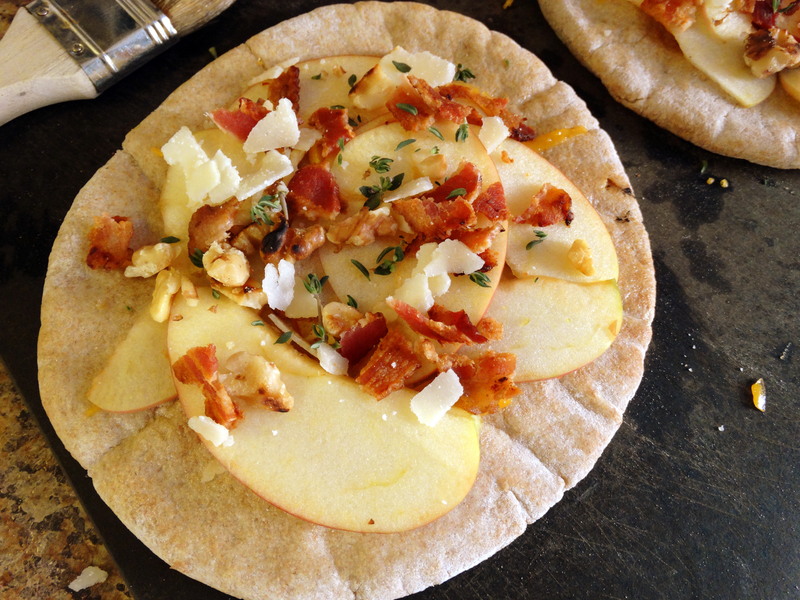 Finish topping each of your pitas with 1/4 teaspoon chopped fresh thyme, 2/3 tablespoon shaved Parmesan cheese, and 1/2 slice crumbled bacon. 3) Return the pitas to the broiler for a minute or two, or until lightly toasted. Remove them from the broiler, slice them into halves, and repeat the process with your remaining two pitas. Enjoy!